Esittelyjä yrittäjistä ja pohdiskelua yhteiskunnan eri toimijoista ja toiminnoista. The summer holiday was about to end and the weather had not exactly pampered holiday makers. We needed a small break from everyday life. 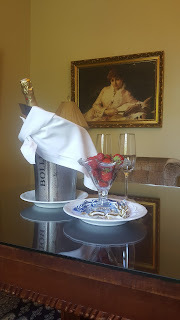 We turned our eyes to Haikko Manor in Porvoo, less than an hour´s drive from the capital. The combination of a beautiful, historic environment and a modern spa was just what we needed. The present manor house dates from 1913 and stands as a majestic crown in a scenery of parks and seashore. Inside you find old-world charm: it is easy to imagine the refined ladies with their long dresses going in the stairs and girls gracefully holding their parasols while strolling in the park. For art-lovers there is plenty to look at in the manor, and if you want more, the atelier of the famous Finnish painter Albert Edelfelt is nearby. He painted here for 24 summers in late 19th and early 20th century. You can find big posters made of his most iconic paintings here and there in the park. The hotel has not gotten stuck in the past. A modern spa has been built next to the manor house. There you can pamper yourself in many ways or keep fit in the gym. There are many different saunas: in addition to the traditional Finnish sauna, there is also a steam room, a sauna with aromatic fragrance and an infrared sauna. There is also a choice of pools, from cold to hot, a whirlpool and a pool with different massaging showers and currents underwater. We also tried the experimental showers with different light and sound effects, from birdsong to thunder. For some reason, we fell asleep quickly in the evening after spending hours in the spa. If you wish, in addition to the traditional spa treatments you can try out the special anti-age treatments promising to make you look younger without surgery. I wanted to try the super cold, 120 degrees below zero, which is said to relieve pain, but unfortunately, we had to leave it to another occasion. The friendly service must receive a special mention. Those customers staying in the manor house have their own breakfast rooms and you can also have a glass of sparkling wine with your breakfast. The food is a delight and whilst you eat, you can admire the beautiful old furniture or the view of the park and the sea. For fine dining, there is the Manor house restaurant and for more economic dishes or snacks you can visit the Spa bistro. Whilst in Haikko, you should also visit the lovely old town of Porvoo. There is a medieval church up in the hill and the old wooden houses downhill next to the river. There are interesting little boutiques and many different restaurants along the narrow cobblestone streets. The whole town is like an outdoor museum! Our manor-house holiday was really relaxing and eased the going-back-to-work stress considerably. Kellokosken läpi kulkevan Pohjoisväylän varrella löytyy nälkäiselle "helmi". Noutoruokaa valmistava Aasialainen keittiö - Grilli, jonka menu on uskomattoman monipuolinen. 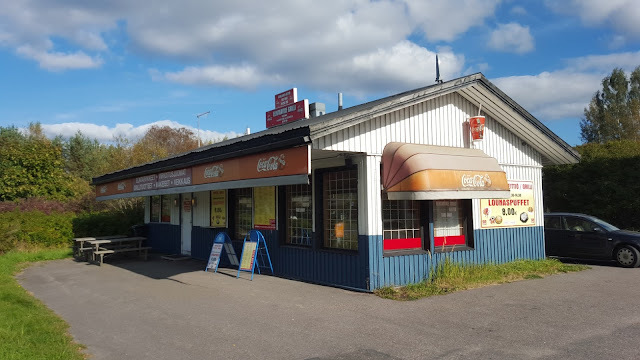 Osoite on Kirvesmiehentie 2 B.
Normaalien grilliruokien eli lihapiirakoiden, kebabien, hampurilaisten ja ranskalaisten lisäksi grilliltä voi tilata harvinaisempia, aasialaisia herkkuja. Listalta löytyy muunmuassa kanaa, ankkaa, jättirapuja, mustekalaa, kevätkääryeitä, keittoja ja nuudeleita. Olin ällistynyt kun luin listaa! Voi toki tilata myös härkää tai valita useista eri kasvisruokavaihtoehdoista, unohtamatta salaatteja. Annokset ovat runsaita ja hinnat varsin edullisia. Lapsille on omia annoksia ja tietysti muutama jälkiruokavaihtoehto. Mausteiden voimakkuudesta kannattaa kysyä, ettei esimerkiksi chili yllätä. Itse valitsin medium maustettuna yhden kana / riisi annoksen ja katkarapusalaatin. Molemmat olivat erittäin maukkaita ja hyviä. Kana-annos suorastaan hiveli makuhermoja. In board games, people are at the same table and enjoy playing together. This is a game of one hundred years old Finnish history. become one of the safest and most stable countries in the world? 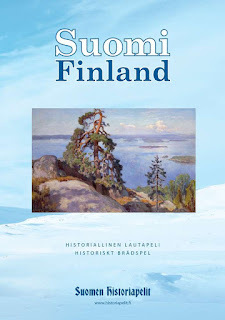 In this game, you’ll seek answers to these questions and get a general overview of Finland’s journey from the mid-1800s all the way till the 2000s. In addition to historical events, you’ll get to crisscross Finland and visit interesting modern-day travel destinations.The players’ movements around the game board are dictated by dice-throws and governed by a set of rules, which are supplemented by a history section. Taas alkaa olla aika vaihtaa autoon renkaat. Kirjoitin tämän syksyllä talvirenkaita varten, mutta sama pätee keväällä kesärenkaiden kanssa. Vertailin uusia renkaita, rengasliikkeitä ja hintoja Keski-Uudellamaalla. Se on verkkokauppa, josta saa laadukkaat renkaat ja vanteet varsin edullisesti. Keravan liikkeessä homma sujui kuin tanssi. Ei ehkä aivan yhtä nopeasti kuin formuloissa, mutta sukkelasti se kävi. Sillä aikaa kun nautiskelin kahvia ja pistin muutaman twiitin maailmalle, renkaat oli vaihdettu. Lisäksi hinta oli hyvin kohtuullinen ja päälle tuli ystävällinen hymy. Renkaiden vaihto voi olla stressin paikka, tai jopa mukava kokemus, kuten minulla. Kumman sinä valitset? 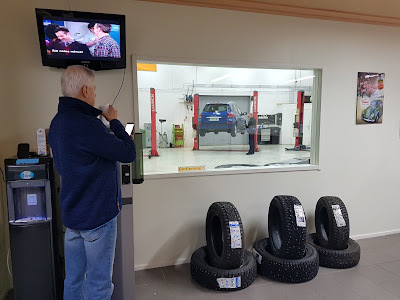 Tästä klikkaamalla:Keravan Car Service kotisivulle.